Combine first 7 ingredients. Cut each piece of bread in half lengthwise, cutting to, but not through, the other side. Open each piece of bread, and place, hinged side down, on a baking sheet. 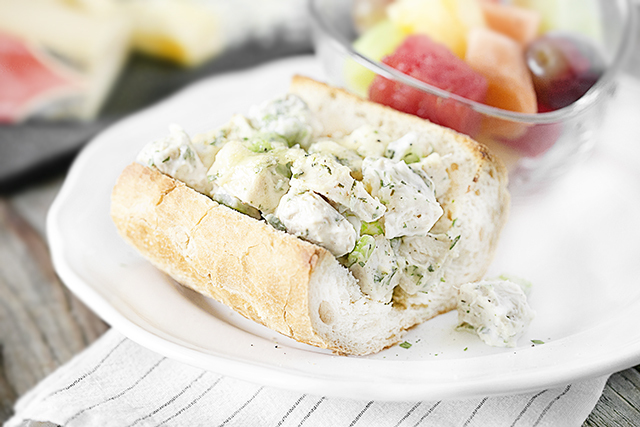 Spoon 1/2 cup chicken mixture onto each opened bread piece; top each with 2 tablespoons cheese. Bake at 450º F for 5 minutes or until cheese melts -- and serve.